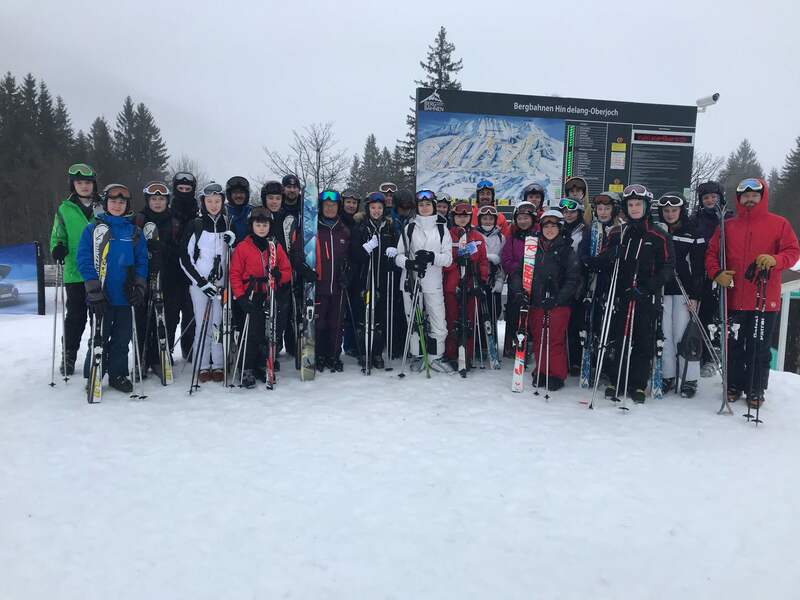 After a weary start in the early morning of the 10 February, our small hoard of skiers set off for a relaxed day of travel firstly to Birmingham Airport, on to Stuttgart and then to our destination at the lovely and cosy Haus Am Brunnenbach. 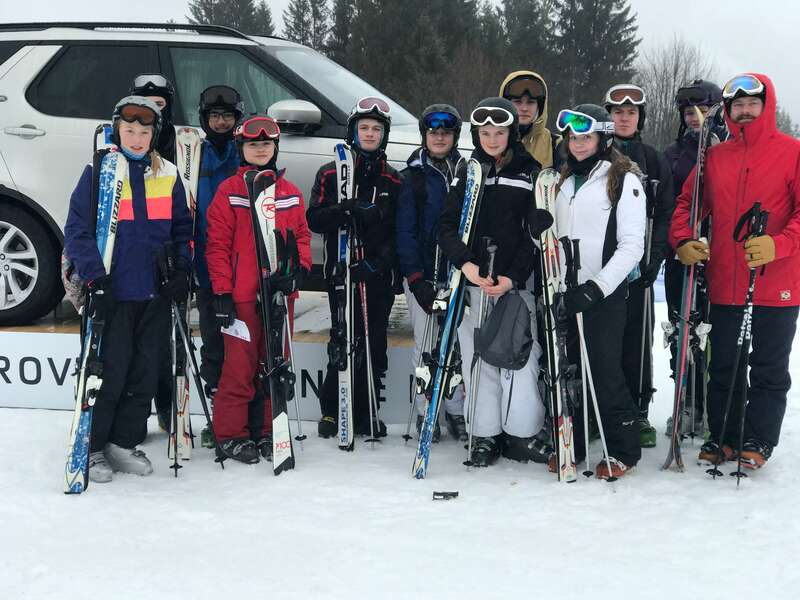 On the way through the Bavarian countryside, we had picked up our ski equipment and all us cadets were tired yet eager to get on the slopes the next morning. 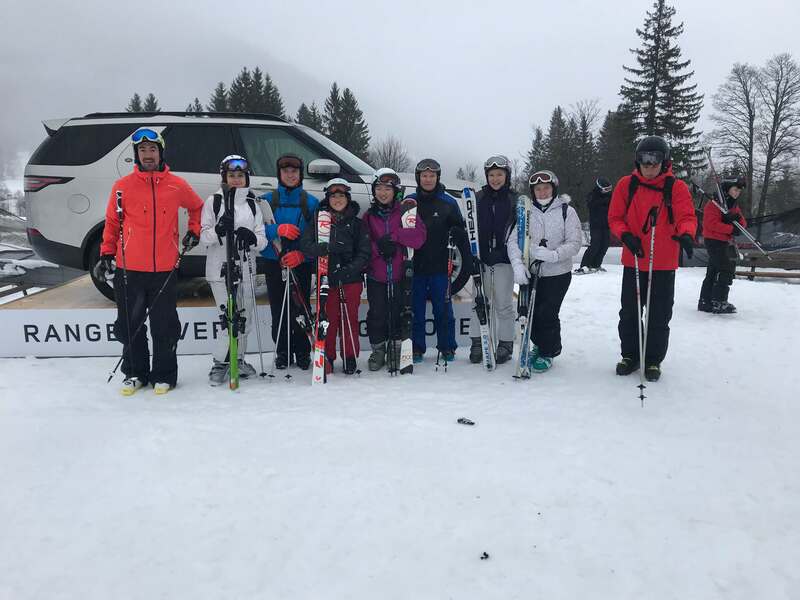 For the eight of us in the Advanced Group, all being competent parallel skiers to begin with; the first day was mostly a warm-up day. Our excellent instructor Pete wanted us to get used to being back on skis and feeling comfortable. We did a few drills and he laid out his plan for the rest of the week, which encompassed days spent on techniques such as steering, carving and powder skiing. Impressed upon all of us was the overarching goal of turning us into smooth, stylish skiers who could handle any slope put before us. Our second day of skiing was focused on how to properly move through powder. Visibility was marred by heavy snowfall; however, the snow underfoot was prime, and the group got on very well. Pete spent much of the day giving us all individual technical points to improve on. Overnight we had a large powder dump and so conditions for our third day of skiing were excellent. The sun had finally come out and the resorts looked magnificent. This day had a focus on carving, and by the end of the day I know that I had improved vastly as a skier, recognising my newfound ability to turn completely smoothly at speed by rolling the skis from edge to edge. After a wonderful day on the slopes, we went out to a local swimming pool and had an exciting time there letting our hair down after a day of exertion on the slopes. Wednesday came with similar weather to the day before and as such was another excellent day of skiing. We focused both on medium radius and carved turns. 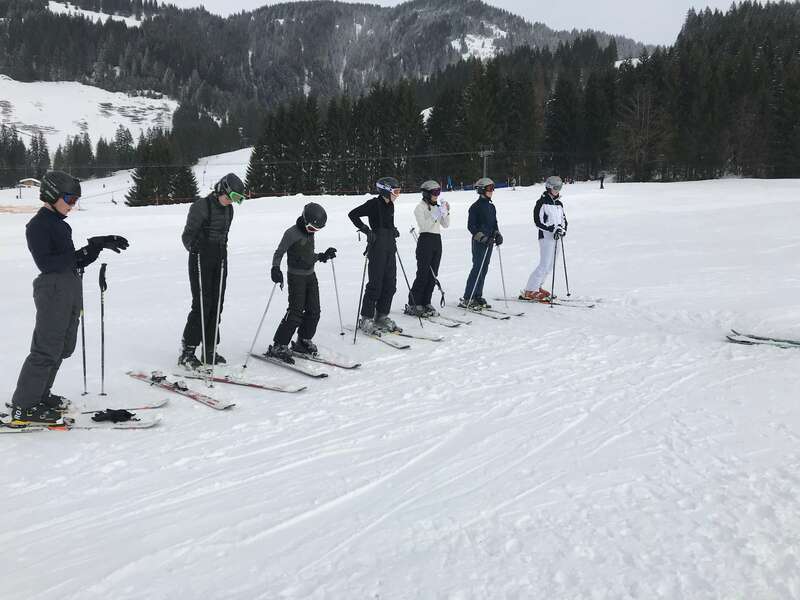 Mixed in with the technical drills was a vast amount of free skiing in which we could focus on other aspects of our performance, and off piste runs that tested everybody and gave a palpable sense of pride to the group when completed. The whole group was clearly making vast improvements and having a whale of a time whilst doing so. In the evening, we all went out for a meal and spent time at a traditional skittles alley, an excursion that was thoroughly enjoyed by all. On our penultimate day of skiing we focused on steering, the alternative technique to carving when making turns. I progressed throughout the day and by the end was confident at steering easily down any run we did, including multiple blacks. Moving into our final day, conditions were marred initially by rain but that did little to curb the enthusiasm of the group. Pete made the day as enjoyable as possible, taking us on jumps, off piste runs and small tracks through forest. We really consolidated everything that we had been working on through the week to achieve as highly as we could in the presentation of our UK Snowlife Ski Awards that evening. I was able to progress from the Level 6 with distinction that I was already skiing at to a Level 8 with distinction by the end of the week, an accomplishment that I am extremely proud of. The event was first class. Evenings spent in Haus Am Brunnenbach were comfortable and relaxed, consisting of great food, board games and sessions in our group with Pete, analysing video footage of ourselves taken during the days and being given areas to work on in the future. The event was excellently organised and was as enjoyable as could be from a cadet perspective, and I look forward tremendously to attending again. 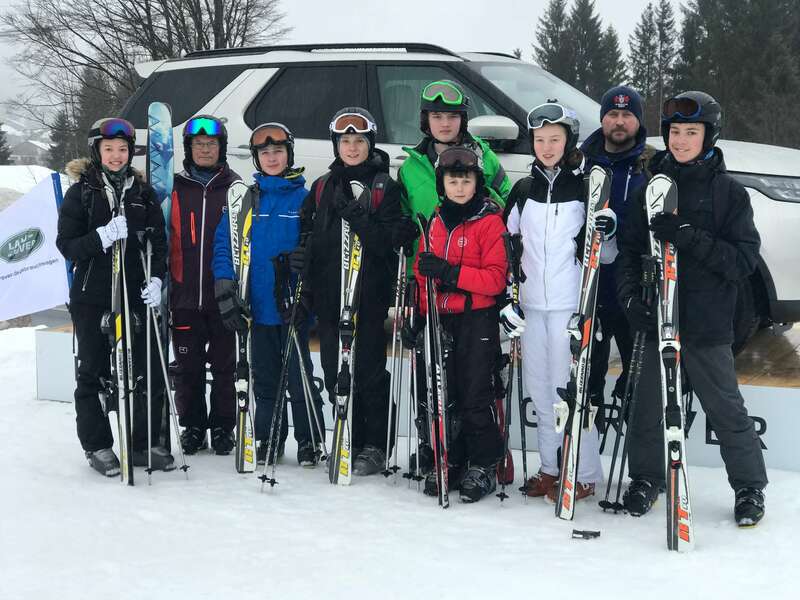 Over the course of the 6 days skiing the 24 Cadets, 11 of which had returned from 2017 achieved a high standard of Ski Awards ranging between 4 Star – 9 Star.